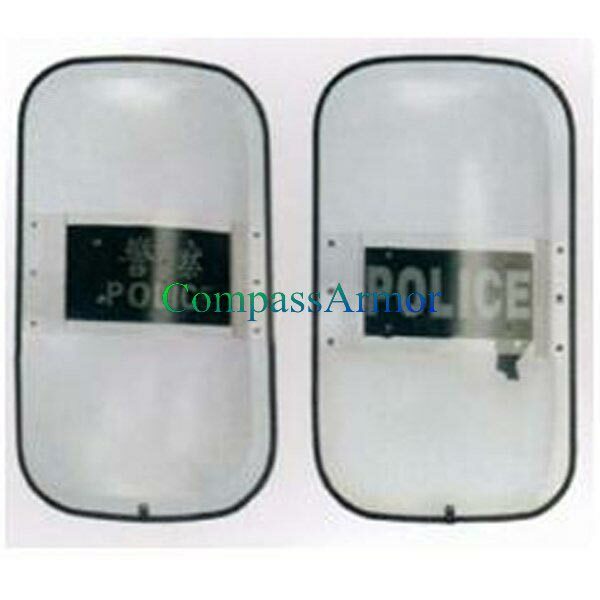 Contact us for excellent quality Anti Riot Shield (ARS-P96). The company is a proficient Manufacturer, Supplier and Exporter of Anti Riot Shields from China. Our Shields act as a strong, protective barrier against impact, fragment, corrosive chemicals, bodily fluids, and electric shock hazards. Buyers can obtain the Shields at reasonable rates. Aniti-riot shield serve as a strong,protective barrier against impact ,fragment ,corrosive chemicals,bodily fluids, and electric shock hazards. Their high densiny foam strip is a cushion of reinforcement for the user in riot conditions and provides extra protection for the hands,knuckles,and forearms . The heavy nylon strap assembly uses a Velcro closeure that can be quickly ripped off to release for user if necessary . The strap attaches securely to the shield and is wide enough to give a tight and comfortable fit to the forearm. The handles and traps are reversible for right or left handed use.